Oranges, together with lemon, lime and grapefruit are actually citrus fruits, but oranges are the tastiest of all and that is why they are so popular. They are also considered as berries because they are full of seed and fleshy. However, there are some oranges that don't contain seeds. The greatest orange producing country is Brazil and it produces two times more oranges than the US. Oranges are also grown in the United States, especially in California. The next great producer of them is Mexico, and after this country, there are India, China and Spain. We distinguish different varieties of oranges and the most popular are Valencia and Navel oranges. Valencia oranges are widely grown for commercial purposes, while Navel oranges can often be found in the stores and their greatest advantage is that they can be easily peeled. This type of orange is a mutant and you can often see two oranges in one. Another type of oranges is Mandarin and it is a very popular fruit during the winter, because then mandarins are easy to find in the stores. Mandarins are very tasty, smaller than other varieties of oranges that we consume and they are also easily peeled. 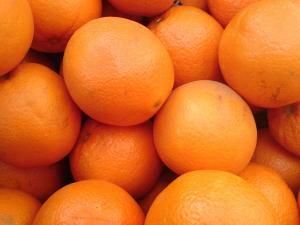 Mandarins come in different varieties such as the Clementine, the Satsuma and others. How can oranges be used? Oranges are usually used for eating and making juice. However, there are other ways in which we can use oranges. The rind of an orange can be squeezed and that way we can get sweet orange oil as a great flavoring. This is also used in perfume making because it has a wonderful fragrance. The orange oil is one of the components in different chemicals that are used for cleaning, because it gives a fresh tone. This oil is efficient in removing grease. Oranges have wonderful blossoms that are used for making tea, and due to their aromatic properties, they are used in the cuisine. This fruit is easy to grow, but it needs special climate conditions since orange trees are subtropical. They can grow outside in countries such as Florida and California, but in some colder areas, they need to be protected from the frost and so they can be grown in houses. The best frost protection is spraying the trees with the water. This way the ice will form and the whole tree will be isolated from the coldness. Orange is a very healthy fruit since it contains high level of vitamin C and fibers among other nutrients. I heard that it’s good to eat blackberries every day. Is it ok?